One of the things the biodiversity informatics community has struggled to do is come up with a list of all natural history collections (Taylor, 2016). Most recently GrBio attempted to do this, and appealed for community help to curate the list (Schindel et al., 2016), but this did not emerge, and at the time of writing GrBio is moribund. GBIF has obtained GrBio's data and is now hosting it (GBIF provides new home for the Global Registry of Scientific Collections) but the problem of curation remains. Furthermore, GrBio is not the only contender for a global list of collections, the NCBI has their own list (Sharma et al. 2018). When Schindel et al. came out I suggested that a better way forward was to use Wikidata as the data store for basic information on collections (see GRBio: A Call for Community Curation - what community?). David Shorthouse's work on linking individual researchers to the specimens they have collected (Bloodhound) has motivated me to revisit this. One of the things David is wants to do is link the work of individuals to the institutions that host the specimens they work on. For individuals the identifier of choice is ORCID, and many researcher's ORCID profiles have identifiers for the institution they work at. For example, my ORCID profile https://orcid.org/0000-0002-7101-9767 states that I work at Glasgow University which has the Ringgold number of 3526. What is missing here is a way to go from the institutional identifiers we use for specimens (e.g., abbreviations like "MCZ" for the Museum of Comparative Zoology) to identifier such as Ringgold that organisations such as ORCID use. It turns out that many institutions with Ringgold numbers (and other identifiers, such as Global Research Identifier Database or GRID) are in Wikidata. So, if we could map museum codes (institutionCode in Darwin Core terms) to Wikidata, then we can close the loop and have common institutional identifiers for both where individuals are employed and the institutions that house the collections that they work on. Hence, it seems to me that using Wikidata as the basis for a global catalogue of institutions housing natural history collections makes a lot of sense. Many of these institutions are already in Wikidata, and the community of Wikidata editors dwarfs the number of people likely to edit a domain-specific database (as evidenced by the failure of GrBio's call for community engagement with its database). Furthermore, Wikidata has a sophisticated editing interface, with support for multiple langages and adding the provenance of individual data entries. To get a sense of what is already in Wikidata I've built a small tool called Where is the damned collection?. It's a simple wrapper around a SPARL query to Wikidata, and the display is modelled on the "knowledge panel" that you often see to the right of Google's search results. If you type in the acronym for an institution (i.e., the institutionCode) the tools attempts to find it. There are some challenges to using Wikidata for this purpose. To date there has been little in the way of a coordinated effort to add natural history collections. There are 121 institutions that have a Index Herbariorum code (Property P5858) associated with their Wikidata records, you can see a list here. 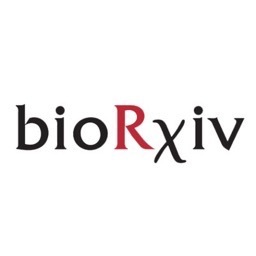 There is also a property for Biodiversity Repository ID which supports the syntax GrBio used to create unique institutionCode's even when multiple institutions used the same code. This has had limited uptake so far only being a property for five Wikidata items. However, there are more museums and herbaria in Wikidata. For example, if we search for herbaria, natural history museums, and zoological museums we find 387 institutions. This query is made harder than it should because there are multiple types that can be used to describe a natural history collection and they query only uses three of them. Another source of entries in Wikidata is Wikispecies. There are two pages (Repositories (A–M) and Repositories (N–Z)) that list pages corresponding to different institutionCodes. I have harvested these and found 1298 of these in Wikidata. This indicates that a good fraction of the 7,097 institutions listed by GrBio already have a presence in Wikidata. At the same time, it rather complicates the task of adding institutions to Wikidata as we need to figure out how many of these stub-like entries based on institutionCodes represent institutions already in Wikidata. There are also https://en.wikipedia.org/wiki/List_of_herbaria and natural history museums on Wikipedia that can also be harvested and cross-referenced with Wikidata. So, there is a formidable data cleaning task ahead, but I think it's worth contemplating. One thing I find particularly interesting are the links to social media profiles, such as Twitter, Facebook, and Instagram. This gives another perspective on these institutions - in a sense this is digitisation of experiences that one can have at those institutions. These profiles are also often a good sources of data (such as geographic location and address). And they give a foretaste of what I think we can do. Imagine the entire digital footprint of a museum or herbarium being linked together in one place: the social media profiles, the digitised collections, the publications for which it is a publisher, its membership in BHL, JSTOR, GBIF, and other initiatives, and so on. We could start to get a better sense of the impact of digitisation - broadly defined - on each institution. In summary, I think the role of Wikidata in cataloguing collections is worth exploring, and there's a discussion of this idea going on at the GBIF Community Forum. It will be interesting to see where this discussion goes. Meantime, I'm messing about developing with some scripts to see how much of the data mapping and cleaning process can be automated, so that tools like Where is the damned collection? become more useful. Glasgow University's Institute of Biodiversity, Animal Health & Comparative Medicine, where I'm based, hosts Naturally Speaking featuring "cutting edge research and ecology banter". Apparently, what I do falls into that category, so Episode 65 features my work, specifically my entry for the 2018 GBIF Challenge (Ozymandias). The episode page has a wonderful illustration by Eleni Christoforou which captures the idea of linking things together very nicely. Making the podcast was great fun, thanks to the hosts Kirsty McWhinnie and Taya Forde. Let's face it, what academic doesn't love to talk about their own work, given half a chance? I confess I'm happy to talk about my work, but I haven't had the courage yet to listen to the podcast. I've written up my entry for the 2018 GBIF Challenge ("Ozymandias") and posted a preprint on Biorxiv (https://www.biorxiv.org/content/early/2018/12/04/485854). The DOI is https://doi.org/10.1101/485854 which, last time I checked, still needs to be registered. The abstract appears below. I'll let the preprint sit there for a little while before I summon the enthusiasm to revisit it, tidy it up, and submit it for publication. Enormous quantities of biodiversity data are being made available online, but much of this data remains isolated in their own silos. One approach to breaking these silos is to map local, often database-specific identifiers to shared global identifiers. This mapping can then be used to con-struct a knowledge graph, where entities such as taxa, publications, people, places, specimens, sequences, and institutions are all part of a single, shared knowledge space. 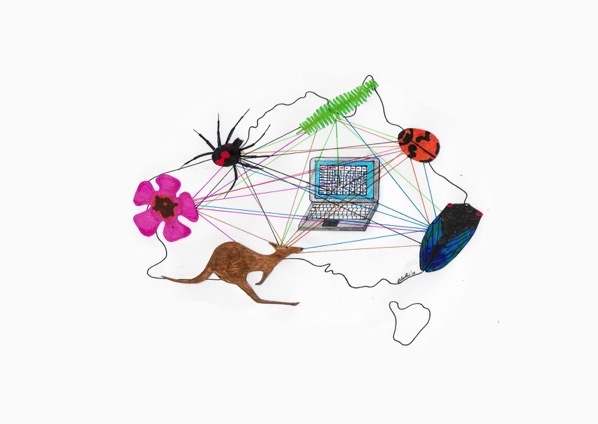 Motivated by the 2018 GBIF Ebbe Nielsen Challenge I explore the feasibility of constructing a "biodiversity knowledge graph" for the Australian fauna. These steps involved in constructing the graph are described, and examples its application are discussed. A web interface to the knowledge graph (called "Ozymandias") is available at https://ozymandias-demo.herokuapp.com. There's a slow-burning discussion on taxonomic concepts on Github that I am half participating in. As seems inevitable in any discussion of taxonomy, there's a lot of floundering about given that there's lots of jargon - much of it used in different ways by different people - and people are coming at the problem from different perspectives. In one sense, taxonomy is pretty straightforward. We have taxonomic names (labels), we have taxa (sets) that we apply those labels to, and a classification (typically a set of nested sets, i.e., a tree) of those taxa. 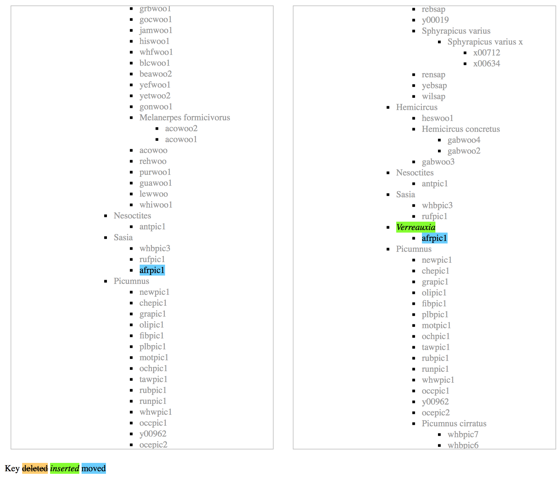 So, if we download, say, GenBank, or GBIF, or BOLD we can pretty easily model names (e.g., a list of strings), the taxonomic tree (e.g., a parent-child hierarchy), and we have a straightforward definition of the terminal taxa (leaves) or the tree: they comprise the specimens and observations (GBIF), or sequences (GenBank and BOLD) assigned to that taxon (i.e., for each specimen or sequence we have a pointer to the taxon to which it belongs). Given this, one response to the taxonomic concept discussion is to simply ignore it as irrelevant, and we can demonstrably do a lot of science without it. I suspect most people dealing with GBIF and GenBank data aren't aware of the taxonomic concept issue. Which begs the question, why the ongoing discussion about concepts? Perhaps the fundamental issue is that taxonomic classification changes over time, and hence the interpretation of a taxon can change over time. In other words, the problem is one of versioning. Once again, the simplest strategy to deal with this is simply use the latest version. In much the same way that most of us probably just read the latest version of a Wikipedia page, and many of us are happy to have our phone apps update automatically, I suspect most are happy to just grab the latest version and do some, you know, science. I think taxonomic concepts really become relevant when we are aggregating data from sources where the data may not be current. In other words, where data is associated with a particular taxonomic name and the interpretation of that name has changed since the last time the data was curated. If the relationships of a taxon or specimen can be computed on the fly, e.g. if the data is a DNA barcode, then this issue is less relevant because we can simply re-cluster the sequences and discover where the specimen with that sequence belongs in a new classification. But for many specimens we don't have sufficient information to do this computation (this is one reason DNA barcodes are so useful, everything needed to determine a barcode's relationship is contained in the sequence itself). To make this concrete, consider the genus Brookesia in GBIF (GBIF:2449310. According to Wikipedia Brookesia is endemic to Madagascar, so why does it appear on the African mainland? There are two records from Africa, Brookesia brookesia ionidesi collected in 1957 and Brookesia temporalis collected in 1926. Both represent taxa that were in the genus Brookesia at one point, but are now in different genera. So our notion of Brookesia has changed over time, but curation of these records has yet to catch up with that. You can see the complete diff here, and the blog post Visualising the difference between two taxonomic classifications for details on the method.. The illustration above shows the movement of one species from Sasia to Verreauxia. So, given two classifications we can compute the difference between them, and represent that difference as an "edit script" or operations to convert one tree into another. These edits are essentially what taxonomists do when they revise a group, they do things such as move species form one genus to another, merge some taxa, sink others into synonymy, and so on. So, taxonomy is essentially creating a series of edit files ("patches") to a classification. At a recent workshop in Ottawa Karen Cranston pointed out that the Open Tree of Life has been accumulating amendments to their classification and that these are essentially patch files. Hence, we could have a markup language for taxonomic work that described that work in terms of edit operations that can then be automatically applied to an existing classification. We could imagine encoding all the bird taxonomy for a year in this way, applying those patches to the previous years' tree, and out pops the new classification. The classification becomes an evolving document under version control (think GitHub for trees). Of course, we'd need something to detect whether two different papers were proposing incompatible changes, but that's essentially a tree compatibility problem. One way to store version information would be to use time-based versioned graphs. Essentially, we start with each node in the classification tree having a start date (e.g., 2017) and an open-ended end date. A taxonomic work post 2017 that, say, moved a species from one genus to another would set the end date for the parent-child link between genus and species, and create a new timestamped node linking the species to its new genus. To generate the 2018 classification we simply extract all links in the tree whose date range includes 2018 (which means the old generic assignment for the species is not included). This approach gives us a mechanism for automating the updating of a classification, as well as time-based versioning. I think something along these lines would create something useful, and focus the taxonomic discussion on solving a specific problem. Being in Ottawa last week for a hackathon meant I could catch up with David Shorthouse (@dpsSpiders. David has been doing some neat work on linking specimens to identifiers for researchers, such as ORCIDs, and tracking citations of specimens in the literature. David's Bloodhound tool processes lots of GBIF data for occurrences with names of those who collected or identified specimens. If you have an ORCID (and if you are a researcher you really should) then you can "claim" your specimens simply by logging in with your ORCID. My modest profile lists New Zealand crabs I collected while an undergraduate at Auckland University. A significant contributing factor for this apparent neglect is the lack of a professional reward system; one that articulates and quantifies the breadth and depth of activities and expertise required to collect and identify specimens, maintain them, digitize their labels, mobilize the data, and enhance these data as errors and omissions are identified by stakeholders. If people throughout the full value-chain in natural history collections received professional credit for their efforts, ideally recognized by their administrators and funding bodies, they would prioritize traditionally unrewarded tasks and could convincingly self-advocate. Proper methods of attribution at both the individual and institutional level are essential. Attribution at institutional level is an ongoing theme for natural history collections: how do they successfully demonstrate the value of their collections? 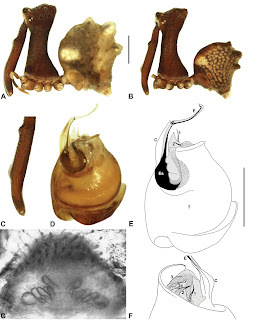 REMINDER: If you cite museum specimens in publications, let us know and send us a copy. WE LINK YOUR RESEARCH TO OUR COLLECTION FOREVER. It's like super important to science. Mark Carnall's (@mark_carnall) tweet illustrates the mismatch between a modern world of interconnected data and the reality of museums trying to track usage of their collections by requesting reprints. 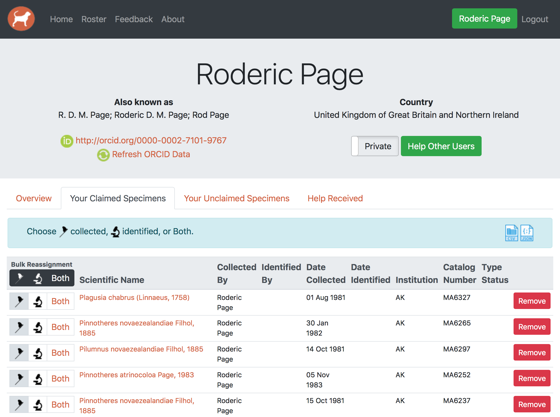 The idea of tracking citations of specimens and or collections has been around for a while. For example, I did some work text mining BioStor for museum specimen codes, Ross Mounce and Aime Rankin have worked on tracking citations of Natural History Museum specimens (https://github.com/rossmounce/NHM-specimens), and there is the clever use of Google Scholar by Winker and Withrow (see The impact of museum collections: one collection ≈ one Nobel Prize and https://doi.org/10.1038/493480b). David has developed a nice tool that shows citations of specimens and/or collections from the Canadian Museum of Nature. I'm sure many natural history collections would love a tool like this! Note the altmetric.com "doughnuts" showing the attention each publication is receiving. These doughnuts are possible only because the publishing industry got together and adopted the same identifier system (DOIs). The existence of persistent identifiers enables a whole ecosystem to emerge based around those identifiers (and services to support those identifiers). The biodiversity community has failed to achieve something similar, despite several attempts. Part of the problem is the cargo-cult obsession with "identifiers" rather than focussing on the bigger picture. So we have various attempts to create identifiers for specimens (see "Use of globally unique identifiers (GUIDs) to link herbarium specimen records to physical specimens" https://doi.org/10.1002/aps3.1027 for a review), but little thought given to how to build an ecosystem around those identifiers. We seem doomed to recreate all the painful steps publishers went through as created a menagerie of identifiers (e.g., SICIs, PII) and alternative linking strategies ("just in time" versus "just in case") until they settled on managed identifiers (DOIs) with centralised discovery tools (provided by CrossRef). Specimen-level identifiers are potentially very useful, especially for cross linking records in GBIF, GenBank, and BOLD, as well as tracking citations, but not every taxonomic community has a history of citing specimens individually. Hence we may also want count citations at collection and institutional level. Once again we run into the issue that we lack persistent, widely used identifiers. The GRBio project to assign such identifiers has died, despite appeals to the community for support (see GRBio: A Call for Community Curation - what community?). Given Wikidata's growing role as an identity broker, a sensible strategy might be to focus on having every collection and institution in Wikidata (many are already) and add the relevant identifiers there. For example, Index Herbarium codes are now a recognised property in Wikidata, as seen in the entry for Cambridge University Herbarium (CGE). But we will need more than technical solutions, we will also need compelling drivers to track specimen and collection use. The success of CrossRef has been due in part to the network effects inherent in the citation graph. Each publisher has a vested interest in using DOIs because other CrossRef members will include those DOIs in the list of literature cited, which means that each publisher potentially gets traffic from other members. Companies like altmetric.com (of doughnut fame) make money by selling data on attention papers receive to publishers and academic institutions, based on tracking mention of identifiers. 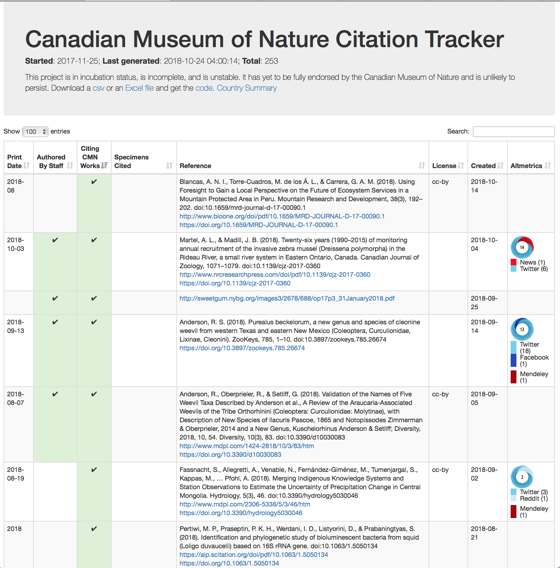 Perhaps natural history collections should follow their lead and ask how they can get an equivalent system, in other words, how do we scale tools such as the Canadian Museum of Nature citation tracker across the whole network? And in particular, what services do you want and how much would those services be worth to you? In addition to the above I spent some of the time working on encoding GBIF specimen data in RDF with a view to adding this to Ozymandias. Having Steve Baskauf (@baskaufs) at the workshop was a great incentive to work on this, given his work with Cam Webb on Darwin-SW: Darwin Core-based terms for expressing biodiversity data as RDF. A report is being written up which will discuss what we got up to in more detail, but one take away for me is the large cognitive burden that still stands in the way of widespread adoption of linked data approaches in biodiversity. Products such as Metaphactory go some way to hiding the complexity, but the overhead of linked data is high, and the benefits are perhaps less than obvious. Update: for more o this see Dan Brickley's comments on "Semantic Web Interest Group now closed". In this context, the rise of Wikidata is perhaps the most important development. One thing we'd hoped to do but didn't get that far was to set up our own instance of Wikibase to play with (Wikibase is the software that Wikidata runs on). This is actually pretty straightforward to do if you have Docker installed, see this great post in Medium Wikibase for Research Infrastructure — Part 1 by Matt Miller, which I stumbled across after discovering Bob DuCharme's blog post Running and querying my own Wikibase instance. Running Wikibase on your own machine (if you follow the instructions you also get the SPARQL query interface) means that you can play around with a knowledge graph without worrying about messing up Wikidata itself, or having to negotiate with the Wikidata community if you want to add new properties. It looks like a relatively painless way to discover whether knowledge graphs are appropriate for the problem you're trying to solve. I hope to find time to play with Wikibase further in the future. I'll update this blog post as the hackathon report is written. Quick note to express my delight and surprise that my entry for the 2018 GBIF Ebbe Nielsen Challenge come in joint first! My entry was Ozymandias - a biodiversity knowledge graph which built upon data from sources such as ALA, AFD, BioStor, CrossRef, ORCID), Wikispecies, and BLR. I'm still tweaking Ozymandias, for example adding data on GBIF specimens (and maybe sequences from GenBank and BOLD) so that I can explore questions such as what is the lag time between specimen collection and description of a species. The bigger question I'm interested in is the extent to which knowledge graphs (aka RDF) can be used to explore biodiversity data. This is a great way of acknowledging the debt many of us owe to developers of open source software that underpins the work of many researchers. I hope GBIF and the wiser GBIF community found this year's Challenge to be worthwhile, I'm a big fan of anything which increases GBIF's engagement with developers and data analysts, and if the challenge runs again next year I encourage anyone with an interest in biodiversity informatics to consider taking part. The following is a guest post by Bob Mesibov. In a previous guest post I listed 10 explanations for the persistence of messy data. I'd gathered the explanations from curators, collection managers and programmers involved with biodiversity data projects. I missed out some key reasons for poor data quality, which I'll outline in this post. For inspiration I'm grateful to Rod Page and to participants in lively discussions about data quality at the SPNHC/TDWG conference in Dunedin this August. Our institution, like all natural history collections these days, isn't getting the curatorial funding it used to get, but our staff's workload keeps going up. Institution staff are flat out just keeping their museums and herbaria running on the rails. Staff might like to upgrade data quality, but as one curator wrote to me recently, "I simply don't have the resources necessary." We've been funded to get our collections digitised and/or online, but there's nothing in the budget for upgrading data quality. The first priority is to get the data out there. It would be nice to get follow-up funding for data cleaning, but staff aren't hopeful. The digitisation funder doesn't seem to think it's important, or thinks that staff can deal with data quality issues later, when the digitisation is done. There's no such thing as a Curator of Data at our institution. Collection curators and managers are busy adding records to the collection database, and IT personnel are busy with database mechanics. The missing link is someone on staff who manages database content. The bigger the database, the greater the need for a data curator, but the usual institutional response is "Get the collections people and the IT people together. They'll work something out." Aggregators act too much like neutrals. We're mobilising our data through an aggregator, but there are no penalties if we upload poor-quality data, and no rewards if we upload high-quality data. Our aggregator has a limited set of quality tests on selected data fields and adds flags to individual records that have certain kinds of problems. The flags seem to be mainly designed for users of our data. We don't have the (time/personnel/skills) to act on this "feedback" (or to read those 2005 GBIF reports). There's a 15th explanation that overlaps the other 14 and Rod Page has expressed it very clearly: there's simply no incentive for anyone to clean data. Museums and herbaria don't get rewards, kudos, more visitors, more funding or more publicity if staff improve the quality of their collection data, and they don't get punishments, opprobrium, fewer visitors, reduced funding or less publicity if the data remain messy. Aggregators likewise. Aggregators also don't suffer when they downgrade the quality of the data they're provided with. Users might in future get some reputational benefit from alerting museums and herbaria to data problems, through an "annotation system" being considered by TDWG. However, if users clean datasets for their own use, they get no reward for passing blocks of cleaned data to overworked museum and herbarium staff, or to aggregators, or to the public through "alternative" published data versions. With the 15 explanations in mind, we can confidently expect collection data quality to remain "mostly OK to pretty awful" for the foreseeable future. Data may be upgraded incrementally as loans go out and come back in, and as curators, collection managers and researchers compare physical holdings one-by-one with their digital representations. Unfortunately, the improvements are likely to be overwhelmed by the addition of new, low-quality records. Very few collection databases have adequate validation-on-entry filters, and staff don't have time for, or assistance with checking. Or a good enough reason to check. "Quality paralysis" is endemic in museums and herbaria and seems likely to be with us for a long time to come. DISCLAIMER: Believe it or not, this post isn't an advertisement for my data auditing services. I began auditing collection data in 2012 for my own purposes and over the next few years I offered free data auditing to a number of institutions in Australia and elsewhere. There were no takers. In 2017 I entered into a commercial arrangement with Pensoft Publishers to audit the datasets associated with data papers in Pensoft journals, as a free Pensoft service to authors. Some of these datasets are based on collections data, but when auditing I don't deal with the originating institutions directly. I continue to audit publicly available museum and herbarium data in search of raw material for my website A Data Cleaner's Cookbook and its companion blog BASHing data. I also offer free training in data auditing and cleaning.